This is a unit of Aventine Roman Equites that Shaun Watson (Redzed) painted for me, that I've finally finished basing. 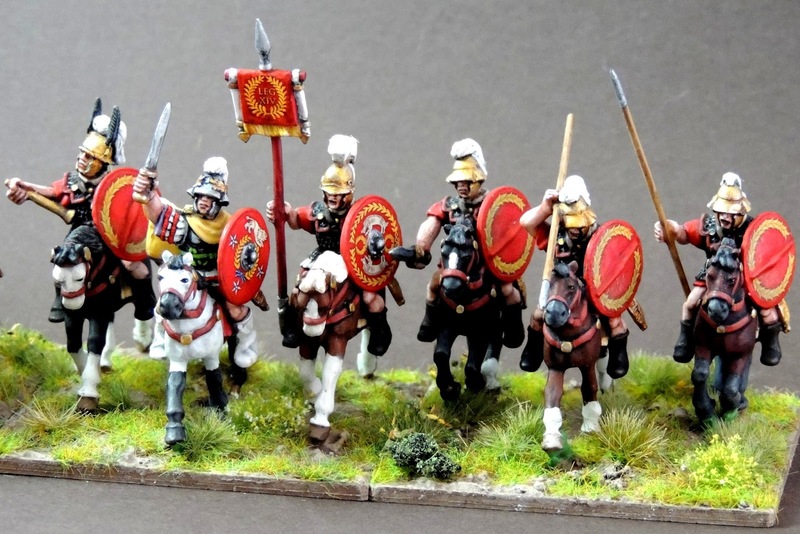 They are lovely models that will guard the right wing of my Polybian legions. Now I need to get some more Italians allies painted up for the other wing. In other news, over the last few weeks I've uploaded another bunch of army lists for To the Strongest! They can be downloaded for free from the BigRedBatshop. I'm on a bit of a roll with the Medievals and expect to publish the various Medieval Russian lists this week.